Hi, my name is Will Byles and I’m the Executive Creative Director for Until Dawn over at Supermassive Games. 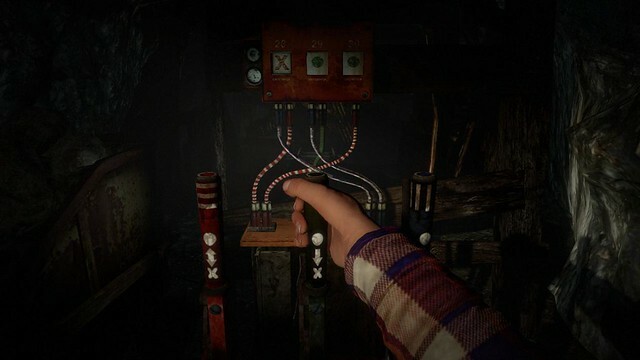 We’re very excited to finally lift the lid on Until Dawn, our new PlayStation 3 title, developed exclusively for PlayStation Move! So, what did you think? We’ve been working on this game for a while now, working with Hollywood writers and US TV talent, doing our best to bring the a new horror experience to the PlayStation Move. Inspired by classic movies like Friday the 13th, Halloween, and SCREAM, we expect that Until Dawn will draw you in with its characters, chilling setting and shocking, twisted story. Just like in classic horror films it’s isolated, the power’s out and the phones don’t work! You’ll play through the story as multiple characters, sometimes with a friend and sometimes on your own to discover who it is that’s intent on killing off you and your friends. It’s up to you how you play, so we don’t know how your story will go or who’ll be there with you at the end. To play the game you’ll use the PS Move controller in a totally natural way. It’ll act as your flashlight, guiding your way through the darkness, or when you want to use something the controller will intuitively map your actions in the real world to those of your character’s hand in the game world. 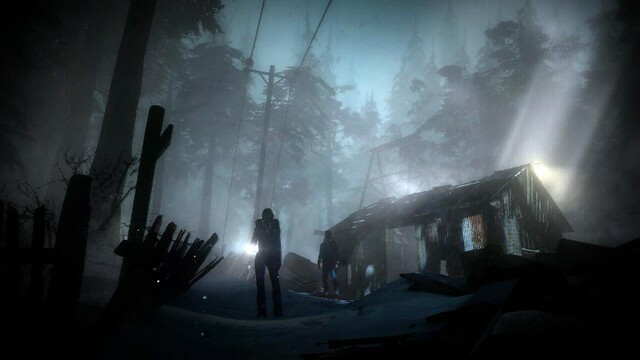 We really hope you’re as psyched about Until Dawn as we are, coming next year exclusively to PlayStation 3. Get ready to be scared. Will be a day 1 purchase for me! that looks amazingly fun! Looks right up my alley. Have to wonder who the “Hollywood writers” are, however, since they could very well be hacks. Hollywood is full of those. And after The Walking Dead games, which have really strong writing, the bar is set (although I know this is a different subgenre). Glad it’s for the Move, too! We can’t reveal the names involved just yet, but what I can say is, two words: Horror legend. Did anyone else get a “The Cabin in the Woods” feel from the beginning? Last movie in this genre I saw so it might just be me. Looks like a blast though, looking forward to playing it. This totally reminds me of Obscure: The Aftermath. That game was hilarious (because of all the stereotypes), entertaining, and really fun to play. Hopefully this turns out to be something similar. Looks like a great horror movie game complete with campy cliches and spooky vibes. Thanks, KidCommando – that’s exactly what we’re going for. So no dualshock support at all? I find it appealing, being able to play as a cast of a Teen Horror movie so this thing those oblivious bastards actually have a chance of surviving. This was one of my favorite parts of the conference, I love horror and the move. It looks like you guys are doing a good job, I’m really excited to hear more! When are we getting Light Sabers Fight Online for the MOVE!!!!!!!!!!! This seems like a great premise for a horror game. As mentioned above, Obscure is the only other game that I can think of that really touches on the teen horror genre. Anyway, It’s difficult to tell from the trailer, but this game isn’t on rails is it? Will you have freedom to explore like a traditional horror game? Thanks for the comment, Snake. Definitely not on rails! Exploration is a big part of the game. im all over this Will! Can you make this game for dualshocks as well? Pretty please! Day one buy for me too! This game is looking interesting. Hopefully it could be made free for plus members. So this is basically PS3/PS Move rendition of Rise of Nightmares (a Xbox 360 kinect surivial horror game) but with a creepy atmosphere and with teen horror in it. Well I don’t know if this is going to do well, but nice to see Sony doing this game. I hope this can do well. Cheesy dialogue but I’m definetly interested! Hope it’s good! Better than good – it’s awesome! I was like “okay this looks alright” then it went all splatter house 2010 on me and had the girl stripped down and i’m now “Okay must buy just to see how far this will push the M”. Kinda reminds me of splatter house 2010 in more than a few ways. @mikedo2007 looks better than rise already just because you don’t need to put your foot out THE WHOLE TIME or hold the auto walk function. C’mon guys no Dualshock support? Please make it happen cause i’d purchase it on day one. VERY cheesy voice work! Game looks kinda ok though! Very interesting title I hope its gonna be scary lol. It kinda reminded me The cabin in the woods which was fantastic. I personally think that they could have done a lot more better on the trailer. Like actually put more of the horror scenes or even try to scare the viewers. I take it back, my youtube quality was crappy. Turned on HD. I guess you left out DS3 support on purpose, right? about time you guys released crackle but why is it only available for canada and what about hulu plus and all of the other apps for the vita ???? i don’t care if there is cheesy voice acting/scripts…if it plays like a cheesy horror movie i’m still sold. i loved cabin in the woods. i like the line “It’s up to you how you play, so we don’t know how your story will go or who’ll be there with you at the end”. That sounds like good replayability there. Lol was that Scarecrow or Sackboy? Anyway will we actually get to move around with the controller or is this game on rails? great game cant wait! any word on price or relase date? need to know thanks! Great to hear both you and our wife are looking forward to the title. We’ve done a lot of work in trying to make Until Dawn the ultimate ‘date game’; I think you’ll find it as enjoyable to watch as it is to play. Plenty more information to come over the next few months – look out for it! your… your wife… NOT our!!! Everyone who’s complaining about motion controls only, some people do prefer it, just like some people prefer keyboard over controller and touchscreen over buttons. @38: Get out of here with your logic. People asking for DualShock support, just go ahead and get yourself a Move. If the game is designed with the Move in mind, it’s probably going to be more better with it, anyways. Scarecrow meets S.A.W. meets PS Move. I got goosebumps just watching the trailer. While I have a Move, I really hope its DualShock supported as well. Either way though, the creep factor alone got you a day one purchase from me. Horror game AND I get to bust out my PS Move. Sold. Wow is this real? Could this be the move game I’ve been waiting for? Could this actually be a game that’s specifically made for the move AND made with the desire to not just make a good motion control game, but a good game overall? It always seems to be one or the other. It’s either a cheap E or T rated collection of minigames/game or a full $60 title made for regular controls with lousy move controls tacked onto it. this looks like the game to sell the Move finally! it has me thinking about getting one…i wanna see more on this game but so far so good! A shame this is move only i would have bought it day one…and im not a horror game fanatic. Not that i actually have an issue with move controls…as i actually had it for several months. However due to lack of support i sold my move some time ago. I will not be purchasing another setup for one appealing game. Hope this game does have a support from the community though…it looks great. Sorry ill miss out on it. i bet this pairs great with my 7.1 virtual surround sound ps3 headset. that plus the move will make it feel like im really in those creepy woods. very very interested, i hope the move controls work well, thats the only thing that worries me!